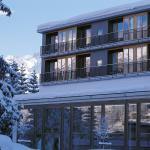 St. Moritz, municipality in the Swiss canton of Grisons, is one of the most exclusive ski resorts in the Alps. Hotels and luxury restaurants, fashion boutiques, luxury and sophistication: from evening to dawn enjoy entertainment in clubs and discos, from morning to sunset you can practice all sports... including skiing on over 350 km of slopes. 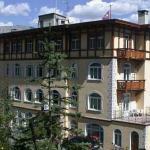 According to some estimates, hotel accommodation in St. Moritz has about 13 000 beds: 4 and 5 star hotels in St. Moritz are the norm, as are luxury stores, from clothing to jewelry to pastries (such as the centuries-old Hanselmann with the best walnut cake of Engadine, rather than Merkur, famous for the production of Läderach chocolate), which are mainly located along Via Serlas and Via Maistra. 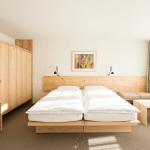 St. Moritz is the birthplace of alpine skiing: hotels here began to rise in mid-1800. Rich English tourists, as often happened in the Alps (as well as in Megève) started making 'white weeks' that lasted even two or three months. The Anglo-Saxon influence is found in one of the most spectacular events in St. Moritz: the polo matches and horse races on the frozen lake, held in January. 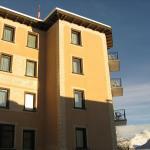 In the area of St Moritz, there are three major ski areas, Corviglia, Corvatsch and Diavolezza / Lagalb. Corviglia, just above the village, can be reached by funicular, cable car or chair lift: on top, other facilities lead to the 3000 mt peak of Piz Nair. The ski resort of Corvatsch can be reached by bus: the snow here is really good, because the area is very shady. Access to this area is via a cable car on the track that leads from Surlej to the slopes of Hahnensee, and from there even higher by the chairlift Giand'Alva. The third ski area, Diavolezza / Lagalb, is a bit more distant, about 30 minutes away, and reaches the Italian border, on the other side of the Bernina pass. It is here that the spectacular off-piste skiing is done, from the top of mount Diavolezza, crossing the glacier Morteratsch. Near Saint Moritz, in Celerina, there is the Cresta Run, a world-famous bob and sled track. Summer in St. Moritz is walking, but also golf, mountain biking trails, horseback riding, tennis, as well as windsurfing and sailing. 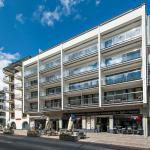 The Hauser Swiss Quality Hotel is situated in a superb location in the heart of the popular Alpine resort of St. Moritz, near the renowned fashion boutiques and not far from the cable car to reach the ski slopes.